She has been in the industry for almost 15 years and comes from a family full of popular names including Sharmila Tagore, Saif Ali Khan, and Kareena Kapoor Khan. 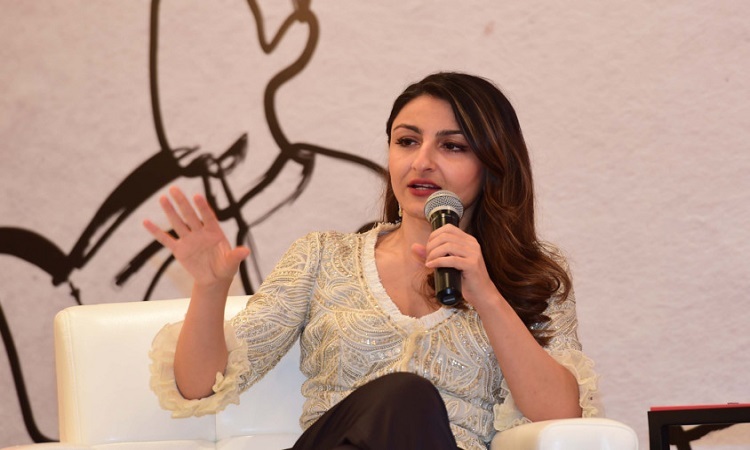 Actress Soha Ali Khan says showbiz is not meant for thin-skinned people. "Most actors have crocodile skin and most people on social media, I think have crocodile skin. Because if you post something on social media and actually read the comments, some people will just be destroyed, but then you get used to it and as most human beings do, you adapt," added the actress, who was here earlier this month for her association with BBLUNT. "You tend to realize that you can't make everyone happy and the most important person you need to make happy is yourself," she said. "People have short memories and they want to know the current favorite flavor of the month and that's what life is now. So, I would say don't sacrifice too much for stardom, it's important to be happy in life.